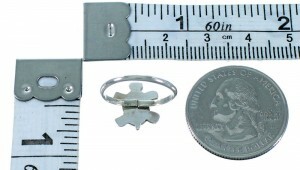 Ring is size 2-1/4, it measures approximately 1/2" long and 3/8" wide. 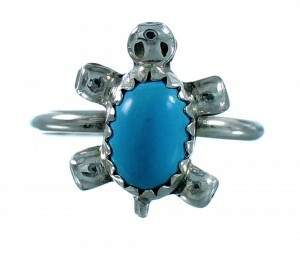 This lovely ring is a work of art and has everything you could possibly want from a piece of Native American jewelry! 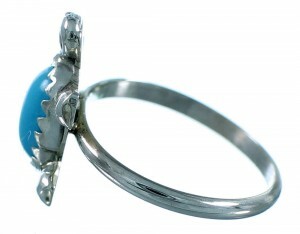 This piece of Native American jewelry is Navajo hand crafted, out of genuine sterling silver and a man made Turquoise stone. The stone is carefully set in a hand cut bezel setting, while mini silver beads create an adorable turtle design for a perfect finish. 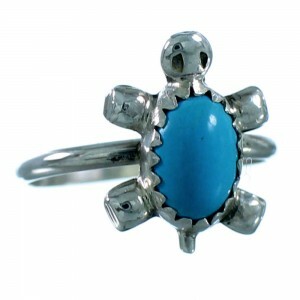 In Native American beliefs, the turtle represents strength, female power, and fertility. The turtle is also considered to be able to defy death.